Most people have been there: a few drinks at a restaurant or bar and then into the car to get home. Am I over the legal limit? Hard to say. Is my driving impaired? It doesn’t seem to be. But what if I get stopped? Will I lose my license, go to jail, and be disgraced in front of the community? It’s a frightening prospect. What’s especially strange about this is the reason I fear. My arrest and punishment would not be for driving recklessly or for endangering other drivers. It would be because I failed a test of something that is not materially related to my actual driving. The law is arbitrary and shifts with the political season. The perpetrators can’t really be sure if they are over or under the limit. And we all have vast experience with people who drink surprising amounts of liquor and drive all the time, but never get in accidents and do not seem to be driving in an unsafe way. Then there are the frequent cases in which cops arrest people for DUI who are stopped for something else, like a burned-out tail light. I’ve known of people who have been arrested in their own driveways, having gotten home safely and harmed no one. They are arrested and imprisoned, a humiliating and terrible experience for anyone to go through. Clearly, this DUI enforcement has been a boon to the police but has it really curbed drunk driving? You might consider staking out your local bar, following how much people drink, and observing how many get in cars after. I’ll just state what most everyone knows but hardly anyone says: drinking and driving is a national sport in the U.S. In the vast, vast majority of cases, no harm is done. Murray Rothbard once told me that he thought drunk driving should be legal. I was stunned and shocked that anyone would say such a thing. But over time, I began to see his point. It is not outrageous at all. With laws against DUI, what’s being criminalized? Not reckless driving as such. Not aggression against anyone. What’s being criminalized is the chemical make up of the blood in your body. That itself should be no crime. To make having a certain blood content illegal is essentially totalitarian. But you say that drinking is associated with bad driving. Well, enforce the laws against reckless driving. Many more people drink and drive than drive recklessly. Some people drive even more safely after a few drinks, correcting for their delayed responses. We do this all the time, e.g. after a workout, when we are sleepy, when we are angry, whatever. Human beings adapt with rationality. And you know what happens on New Year’s some other holiday. People always say “be careful, there are lots of drunk drivers out there.” Just the prospect alone makes everyone drive more defensively. Regardless, the law has no business criminalizing associated peaceful behaviors rather than real crimes against person and property. For example, grudges are associated with murder in the sense that a vast number of murderers are carrying a grudge. Do we make grudges illegal? That would be crazy and unenforceable, even if there were some chemical way to measure what constitutes a grudge. But we make driving under the influence illegal though it is roughly the same thing. It targets an associated condition rather than the crime itself. Laws against drunk driving have vastly expanded police power and done nothing to stop the practice. The best prevention against unsafe driving from drinking has been provided privately: friends, services offered by bars and restaurants, community interest groups, etc. This is the humane and rational way societies deal with social risks. The police have only messed up this process by adding a coercive element that targets liberty rather than crime. And we can see where this is heading. Texting is now illegal in most places. So is talking on the phone. Maybe talking itself should be illegal. Some communities are talking about banning eating. All of this is a distraction from the real issue. If our ultimate goals are to reduce driver impairment and maximize highway safety, we should be punishing reckless driving. It shouldn’t matter if it’s caused by alcohol, sleep deprivation, prescription medication, text messaging, or road rage. If lawmakers want to stick it to dangerous drivers who threaten everyone else on the road, they can dial up the civil and criminal liability for reckless driving, especially in cases that result in injury or property damage. Doing away with the specific charge of drunk driving sounds radical at first blush, but it would put the focus back on impairment, where it belongs. 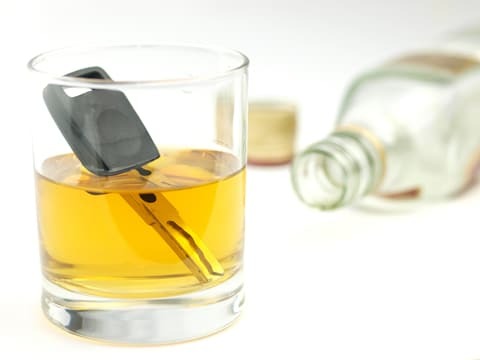 It might repair some of the civil-liberties damage done by the invasive powers the government says it needs to catch and convict drunk drivers. If the offense were reckless driving rather than drunk driving, for example, repeated swerving over the median line would be enough to justify the charge. There would be no need for a cop to jam a needle in your arm alongside a busy highway. Scrapping the DWI offense in favor of better enforcement of reckless driving laws would also bring some logical consistency to our laws, which treat a driver with a BAC of 0.08 much more harshly than, say, a driver distracted by his kids or a cell phone call, despite similar levels of impairment. The punishable act should be violating road rules or causing an accident, not the factors that led to those offenses. Singling out alcohol impairment for extra punishment isn’t about making the roads safer. It’s about a lingering hostility toward demon rum.